Your property is one of the biggest investments you’re ever going to make. Safeguarding that investment is more important than ever before, and that’s what Richardson & Starling are here to do. For 80 years we’ve provided a comprehensive range of property preservation and maintenance services across Scotland and Northern England. As a company we have built up an enormous store of knowledge on the causes of property decay and the best ways of stopping the rot and restoring the building. But it doesn’t stop there. Our team of surveyors and technicians are always on the look-out for cutting edge industry-led initiatives to ensure that we can offer you the very best solutions to damp and condensation, wood rot, infestations and basement waterproofing. We give an honest appraisal and specify a minimum targeted treatment to deal with the problem and deliver value for money repairs. We’re experts in dealing with property preservation problems, and that means that we know what causes them! It’s pretty rare for these problems to be down to negligence: as often as not, it’s simply the case that people don’t know that the issues are occurring. Our reports will contain what you need to know: what’s happened, why it’s happened and how you can stop it from happening again! We’ll always be happy to talk this through with you and give you advice as well. Richardson & Starling is a well-known and long established name in the property repair and refurbishment industry. We deliver property maintenance works for all types of property including domestic, retail and commercial clients and have excellent relationships with insurance companies across Scotland and North England. Being the property maintenance division of one of Scotland’s largest building contractors, we are able to see a property restoration through from start to finish. Once we have identified and repaired the fabric of your building, our sister companies can continue the restoration. When Richardson & Starling hand the building back to you, there will be nothing left to do except move in. We are also a founding member of the Property Care Association and are endorsed by the Government Trustmark scheme. 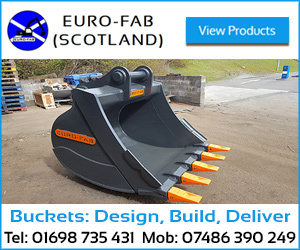 To give you peace of mind in a job well done our work is supported by long term guarantees. This means that our repairs and treatment are covered for up to 30 years. The length of the guarantee is detailed in our report and is automatically transferred to new owners. We are confident in the standard of our work that we are pleased to issue a guarantee you can trust. Branches across Scotland and the North of England: Glasgow, Edinburgh, Aberdeen, Stirling, Dumfries, Kirkcaldy, Carlisle, Dundee, Ayr, Elgin, Perth, Oban, Inverness and Hawick. Richardson and Starling. 5 out of 5 based on 1 ratings. Richardson & Starling are proud to announce the expansion of our business with the opening of our new branch in Hawick. 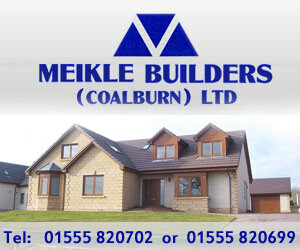 Our new office will service the Scottish Borders and the North of England. We now have 14 branches providing quality property preservation surveys and remedial repair services across Scotland and the North of England for Commercial and Domestic clients. #CaseStudyWednesday - Penetrating Damp & Condensation fixed. External defects caused water ingress and plaster damage. The cold surface then allowed condensation and Mould Growth to occur. Our specialists removed the affected plasterwork and fitted a waterproofing membrane to allow drying and to improve the wall surface temperature to prevent the condensation. Walls were re-plastered and left ready for decoration. The Client repaired the external defect to complete the works. CaseStudyWednesday - Remedial Repairs protects property in Helensburgh. Damp affecting a timber support beam was a perfect target for a Rot attack. Using our structural timber resin repair system, Richardson & Starling specialists repaired the affected area without the need for propping the stonework and targeted repairs to the affected timber making cost savings for the client. Case Study Wednesday - Damaged external wall render allowed damp to penetrate into the property. Our specialists repaired the external damage and treated damp affected ceiling joists to avoid rot germination in the future. Repaired internal walls & ceiling were re-plastered and left ready for our client’s redecoration. Cold spots on the external walls within this property attracted moisture to the wall fabric and created perfect conditions for Condensation and Mould growth. To solve this problem our specialists fitted insulation boards directly to wall plaster using a waterproof adhesive and improved the insulation eliminating the cold spots and the Condensation. Nothing ruins finished wood like a shake. In this case, we used special timber resin which is ideal for this kind of repair to prevent further splitting and shrinkage cracks. In its cured state the resin is very durable seeping into the wood fibbers and produces a strong bond. With the shakes filled this log cabin keeps its aesthetic appearance and water penetration and rot are stopped. #CaseStudyWednesday - Rotten Lintel replacement by our Dundee specialists. Rot affected timber lintels over windows were replaced with new steel and concrete lintels restoring the strength of the wall structure. Our specialists managed to replace the lintels without disturbing the ornate cornice saving our client significant money. Timbers supporting the church roof were affected by Dry Rot and through time lost their soundness and structural stability. Our specialists repaired and fitted new roof timbers ensuring that the roof of this historic property would be sound for years to come. This basement was mainly used for storage but due to water ingress, it became unfit for the purpose. Our specialists installed our Basement Waterproofing System with sump, and dual pumps. Now, this basement is dry and our customer can store possessions again without worrying about them getting damaged. Certain areas of this property were affected by rising & penetrating damp. Our specialists installed a damp proof course and treated and repaired the existing timbers that were affected by wet rot attack. Walls were covered with a waterproofing membrane and then plastered leaving the property dry and ready for decoration. #CaseStudyWednesday - Assembly Rooms, Edinburgh. The historic ornamental ceilings of the Assembly Rooms were under threat due to sagging of the roof timbers which were affected by wet rot. The sagging was causing delamination of the existing lath and plaster ceilings. The remedial work were completed and the ceilings saved. #VeitchiGives supports 17 charity organisations and contains more than 25 fundraising activities such as our fundraising auction. Below you can see a couple of very unique exhibits that were created especially for this auction and will raise funds that will be distributed to all of the 17 charities. #CaseStudyWednesday - A slightly older contract, Rot and damp problem repairs at the Haymarket Station in #Edinburgh. Extensive surveys were completed to identify the extent of rot and damp problems in this property in #Edinburgh. The required remedial works were undertaken at roof and upper floor levels. The property was fully scaffolded and protected to allow the significant works to continue through the inclement weather. All works were completed while maintaining the ground floor ticket office operation of this busy station. This specific property had been flooded twice within the past 7 years so the owner decided to sort the problem once and for all. After stripping the floor and wall fabric our specialists installed a waterproofing system that included two water extraction pumps to make sure that the property is kept dry. Damaged timbers and fabric were stripped and the affected area was treated using fungicidal solution to eradicate the Dry Rot infestation. Our specialists also waterproofed the damp walls using our waterproofing membrane system. The area including the window arch was re plastered and left ready for decoration. The client was delighted with our work. Water penetration through roof coverings had resulted in extensive rot attacks affecting the main structural timber trusses supporting the roof spanning this impressive sanctuary. Richardson & Starling were appointed to eradicate the fungal attack to maintain the structural integrity of the roof. 120 classic windows refurbished by our #Edinburgh branch. This is one of our Timber Window Refurbishment contracts in Charlotte Square, Edinburgh. Our specialists carried out timber sash and case window refurbishments using our timber resin repair system. The Windows were overhauled, draught proofed and repainted with new ironmongery fitted. #CaseStudyWednesday - Dry Rot outbreak wiped out in 3 days! Our specialists located and stopped the source of moisture that had started the wood destroying fungus. Then the Rot affected timbers and fabric was removed and replaced with new, treated timbers and the area was treated with a fungicidal fluid in order to prevent further Rot growth. If left untreated, Dry Rot can seriously weaken and destroy building fabric and the structure. 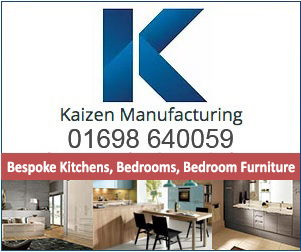 Now our client has peace of mind as we support our work with a 30 year guarantee. 4) Wall was replastered and all skirtings and dado rails were fitted. One of our Timber Window Repair contracts. Elliot House, Edinburgh. During the lease dilapidation survey for the client to this significant office block, widespread timber window decay had been noted. The original cost plan had specified for renewal of all the timber windows however we offered to repair the windows instead. Our Timber Resin Repair System resulted in saving 95% of the existing windows instead of full replacement. Rot Repair & toilet reconfiguration work carried out by our Kirkcaldy Branch. This local authority property in Kirkcaldy was upgraded to give assisted living accommodation. The toilet area was stripped out completely, new floor joists were fitted and overlaid in plywood. The area was left ready for the new wet room floor to be installed. The Wet Rot affected floor joists required to be renewed to support the additional weight loading of hoists and stand aid machines that were needed to assist the new residents. Richardson and Starling work with all the major waterproofing system manufacturers in the UK. We are specifying and installing high quality below ground waterproofing solutions to BS:8102 at a competitive cost and provide a 10 Year Guarantee for our waterproofing systems. #QuickCaseStudy: A defective box gutter had led to water ingress resulting in a substantial Dry Rot attack that weakened the building structure. Repairs involved the removal and replacement of multiple mid floor and ceiling joists as well as rafter repairs. Rot treatment was carried out ensuring long term protection to the structure. The rot eradication works are now supported by our 30 Year Guarantee. Due to a rain gutter blockage, water started to penetrate one of the external walls. As a consequence internal damp conditions were created that allowed dry rot fungus to germinate and take hold of the property fabric. Our #Kirkcaldy branch specialists sterilised the affected walls and applied waterproof membrane to prevent any further deterioration of the fabric. The repaired areas were framed, sheeted and re-plastered, finishing repairs with a new ornamental cornice. Our Carlisle team carried out Dry Rot Eradication works in a church in Dearham, Cumbria. Dry Rot spread throughout the flooring timbers and wall fabrics causing extensive damage to the property. Complete floor removal and wall sterilisation was required to eradicate the problem. On completion our 30 year guarantee was issued to our client and the church building continues to serve the local community. Richardson & Starling are now an approved member of the Newton Specialist Basement Contractor (NSBC) network. Newton Waterproofing Systems are very selective when approving new NSBC waterproofing contractors and we are proud to join the network that unites contractors with the highest quality of waterproofing products and technical support. Walls of this property were slowly damaged by penetrating damp causing structural deterioration through time. Our specialists implemented a specified structural wall tie repair system, tying into the party wall and floor joists. This process ensured that the deterioration of the unstable wall was stopped and the building structure was made strong again. This property with a flat roof over the bay window had a water ingress problem that caused internal timber decay. Usually, in order to repair affected timber structures, specialists have to remove all the ceiling coverings, including decorative elements. In this case, the extent of disruption to the ornate cornice was minimised by implementing our structural epoxy resin repair system to the supporting beam, avoiding full cornice replacement. This property in Lochgoilhead had two problems and they both were weakening the roof structure. Both Woodworm and Wet Rot were affecting the roof timbers, rafter ends and sarking. Our experienced specialists replaced the affected timbers and ensured that the structure was treated with an insecticidal and fungicidal fluid to the affected areas. Surfaces that were in contact with masonry were also wrapped with a physical membrane ensuring that the timber structure holding the roof would not be affected by damp in the future. Our 30 year guarantee was issued to give our client peace of mind. Our client in #Cumbria asked us to inspect his restaurant window. It was decayed by wet rot and required to be repaired or replaced. As this busy restaurant was operating 7 days per week, a full window replacement was not an option. Rising damp affects every ground floor wall that does not have an effective damp proof course. 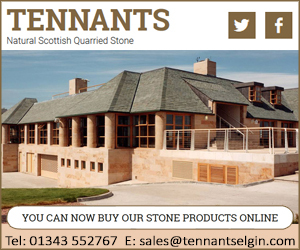 Many Scottish properties were built to withstand extreme weather conditions but through time stonework and mortar can become porous and allow #damp to penetrate through. Here is another great looking case study. Full building refurbishment works were completed in this steading in Ayrshire. Our tradesman completely refurbished the existing property inside and out with new roof and floor timbers, new partitions with all new electrics, plumbing and kitchens. The property was completely re-roofed and redecorated ready for the client to enjoy their new home. Another Cellar Waterproofing contract completed in Edinburgh’s New Town. Our specialists installed a cavity drainage system to collect the penetrating damp. Once walls and floor were covered with our waterproofing system, our technicians fitted the framing, plasterboard and laid a new concrete floor leaving the area ready for decoration giving the client a useful dry space. All of our waterproofing works come with our 10 Year Guarantee. Many properties have under pavement cellars that were originally used as external coal stores. Unfortunately these days many of these cellars are unusable due to penetreting damp from the pavement above and the sub ground retaining walls. Our Basement Waterproofing System transforms the damp cellar into a dry area which creates additional space and increases the property value at the same time. The property was undergoing a bathroom upgrade and it had been revealed that a leak had caused Rot to affect the Floor Joists, Wallplate and Partition. To help the client, repairs were started on the same day as it was surveyed and this allowed works to be completed within 48 hours. 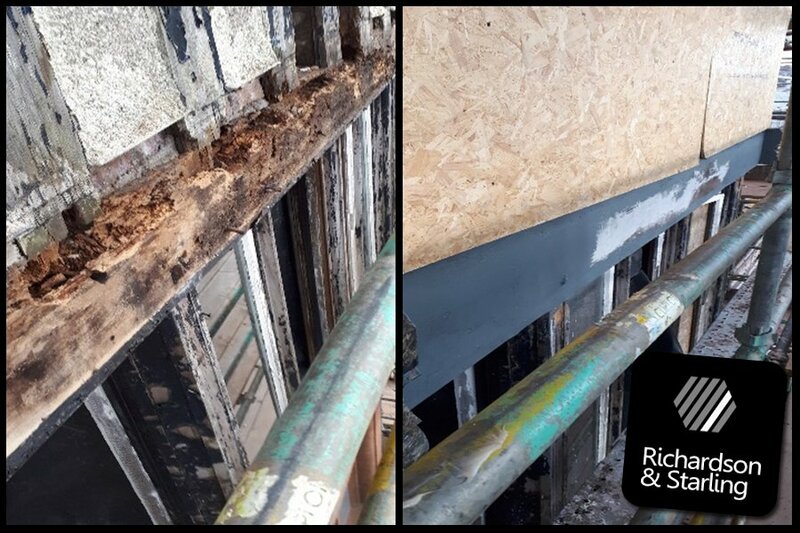 All Wet Rot affected timber sections were repaired and replaced, ensuring that the structure was back to full strength so that the client could continue with their bathroom replacement. Find out more about Wet Rot on our FAQ page! https://goo.gl/e5aBWG? This school was covered with timber cladding panels that were affected by rot and was allowing damp to penetrate into the building. Rotten cladding was removed and walls were covered with building paper and new PVC cladding.. The playground next to the building was left fully functional and the whole contract took only a week to complete. Plumbing defects caused a mouldy damp problem in this property in Falkirk. Seeping water damaged the internal wall finishings and caused mould growth on the affected walls in the flat below. Within 2 working days, our technicians completed plumbing repairs and covered the affected area with our waterproofing membrane. We then replastered the area and fitted shelves. The dry property was left ready for decoration. #DryRot eradication contract completed in #Aberdeen. This particular work demonstrates our technician experience when it comes to saving existing features. This property had an outbreak of dry rot within the bay window area of the floor. It affected a number of shared first-floor joists and the bressumer beam spanning the bay window. The extent of the dry rot behind wall linings and structurally affecting floor joists meant that significant areas of the ornamental cornice work needed to be removed in order to eradicate the rot. The extent of disruption to the ornate cornice was minimised by implementing a structural epoxy resin repair to the beam end avoiding full cornice replacement. The ceiling frieze was also carefully removed during works and reinstalled afterward. Impressive Dry Rot fungi explosion found in a property we surveyed. Dry Rot spores germinate on unprotected timbers that become damp. It has the ability to destroy all timber in a property. As the Dry Rot takes a hold of a property it works below floors and behind walls and the first sign you may see is the spore dust from the fruiting body of the fungi. It is the cancer of buildings and needs to dealt with effectively. #Condensation is one of the most common #damp problems affecting homes in the UK. Insulation, draft proofing, and double glazing are great, but they reduce air circulation. Without proper ventilation, moisture laden air condenses on cold surfaces. That can be quite irritating as it may lead to mould growth affected decor and damaged building fabrics. In this case study, you can clearly see how condensation caused mould to grow on the wallpaper behind the bed. In partnership with #Envirovent we fit Positive Input Ventilation Systems and extractor fans to solve condensation problems and improve air quality. This is the second year that Richardson & Starling have sponsored the event which this year attracted a star studded line up including Paul Johnston ex world No 4 and Commonwealth Games Gold medallist from England along with many other Scottish internationalists at all levels. Storm Desmond did a lot of damage in December 2015. Unfortunately, this #basement was one of the damaged properties which was #flooded to a depth of 1 metre! Basement Waterproofing specialists from our #Carlisle branch were employed to install a new waterproofing system with dual pump chambers and a battery backup system. In addition, we also installed the underfloor heating system that makes the finished room even more comfortable. The basement was reinstated back to its original condition and the client now has peace of mind with our 10 year waterproofing system guarantee. Richardson & Starling Glasgow are moving to the new Veitchi Group headquarters in Cambuslang! 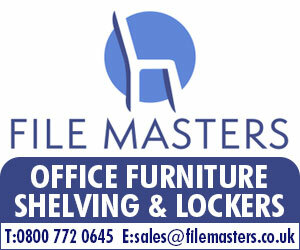 Our new office address is 8 Cambuslang Way, Cambuslang, Glasgow, G32 8ND. Traditional timber frame windows can add a lot of character to the building, therefore it is definitely worth preserving them. Take a look at some pictures from one of our timber window repair and draught proofing training days. Timber windows face problems such as rot, draughts, rattles and sticking. Our specialists are trained to provide draught proofing and timber resin repair system solutions that are quick, effective and very durable. We’re proud of the quality of our work, and offer a 5 year guarantee on all our timber window repairs. WetRot repair works - Russel road railway and tram bridge, Edinburgh. The bridge is constructed of significant timbers built within a metal structure and stone ballast infilled between the tracks. Water had percolated from above and caused a Wet Rot attack to some of the timbers. Our specialists removed the rot and strengthened the timbers using metal rods and chemical resin, allowing this bridge to continue its important service to the city. No matter if it is a bridge, commercial or domestic property, if it has a problem, then Richardson & Starling can provide the solution. Flooding to your property! 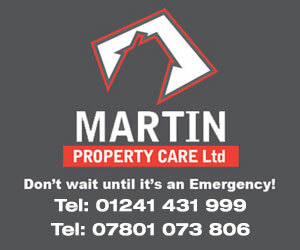 It is a terrible thing to experience but if it happens you want your property to be back to normal ASAP. Take a look at the #Thermodynamic drying solution used by us. This machine heats the surface and then exhausts the moisture laden air from the room. At the same time, an equal amount of fresh and pre-heated air is drawn from an unaffected area into the room drying it 5 times quicker. Take a look at one of our most memorable contracts in 2016 - Belleisle Conservatory brought back to life using our specialist repair systems. Belleisle Conservatory in Ayr was built in 1879 and refurbished in 1955. In 2005, due to its poor structural condition, the conservatory closed its doors. Richardson & Starling restored this great public attraction to its former glory and the conservatory opened once again to the community on 23rd July 2016. One of our Dry and Wet Rot repair contracts completed on the isle of Bute. Rot outbreak affected mid floor joists and the roof of the two-story property. Works were particularly challenging as the ground floor property was a butchers shop which had to remain open during the period of repairs. Because of this requirement, our specialists had to carefully repair and replace all of the affected roof and floor timbers ensuring the roof and floor structure was kept stable and that water ingress was prevented from seeping into the shop below. Should you require a visit from one of our experienced surveyors to diagnose a property problem we not only use experience but also cutting edge tools to measure the extent of the problem. Take a look at the equipment that Richardson & Starling surveyors use in order to support their diagnosis and advice with accurate data. 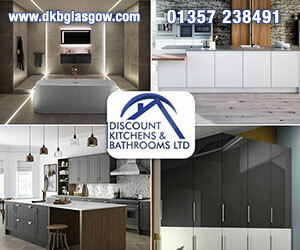 Here is one of our recent contracts completed in Ayrshire. In addition to our Damp Proofing and Rot related repairs an under floor heating system was installed. Now the property owner will be enjoying warm floors during cold winter mornings. Trick or treaters are not the only things which can penetrate your home. Water penetration started a severe fungus and rot attack sucking the life out of this property. Richardson & Starling are experienced to deal with any horrific infestations that might affect your property and we can bring it back to health and wellbeing. Call the Rotbusters if you need advice or a survey. Have you ever wondered what your damp basement could be used for? So many people picture dark, damp places when they think about basements, but does it really have to be this way? Your basement can be converted into a dry and bright space for whatever purpose you can imagine. If you would like to convert your basement, then share your idea with your local Richardson and Starling branch and get professional advice from our qualified surveyors. These domestic properties were built into a hillside. Excessive ground water had caused damp problems within the properties. Our specialists installed additional drainage to manage the surface water. Damp and Wet Rot affected walls and floors were repaired and protected. New Damp Proofing membranes were installed into the solum and applied to internal walls then replastered and left ready for decoration. If your property has a similar problem contact your local Richardson & Starling branch for advice or property survey. This property had a water penetration problem and had also suffered from a fire. Water was penetrating through the roof and affected walls and ceilings throughout the property. Roof coverings were repaired to prevent further penetration. 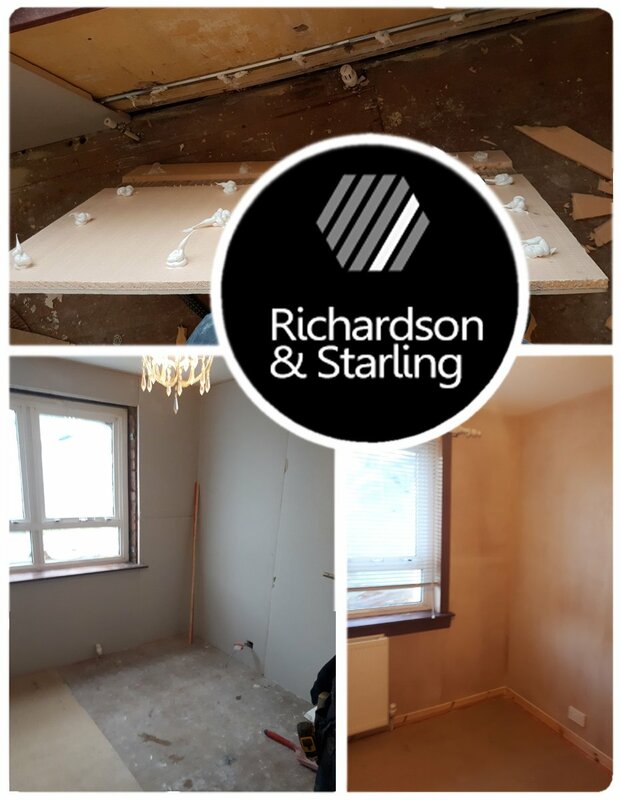 In addition the affected timbers and walls were repaired, re-plastered and decorated leaving this property ready for the client to move back in and enjoy their home. 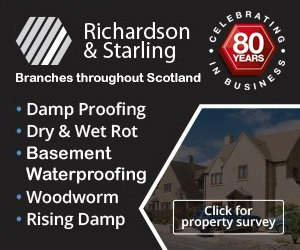 If your property has similar problems, contact your local Richardson & Starling branch and request a survey or free advice. This church had a water penetration problem which caused a prolific dry rot attack. Rot affected the internal wall fabrics, structural roofing timbers, and even the roof trust ends. Dry rot was eradicated and all affected timber beams were repaired with our timber resin repair system. The arches to the stained glass windows were reconstructed and re-plastered to match the existing. Works were covered with our 30-year guarantee. Fort George - strategically positioned on a promontory jutting into the Moray Firth, the fort was intended as an impregnable army base. It was designed on a monumental scale, using sophisticated defense standards, with heavy guns covering every angle. The main enemy attacking the fort today is penetrating damp and Richardson & Starling from our Elgin office helped to solve this problem. 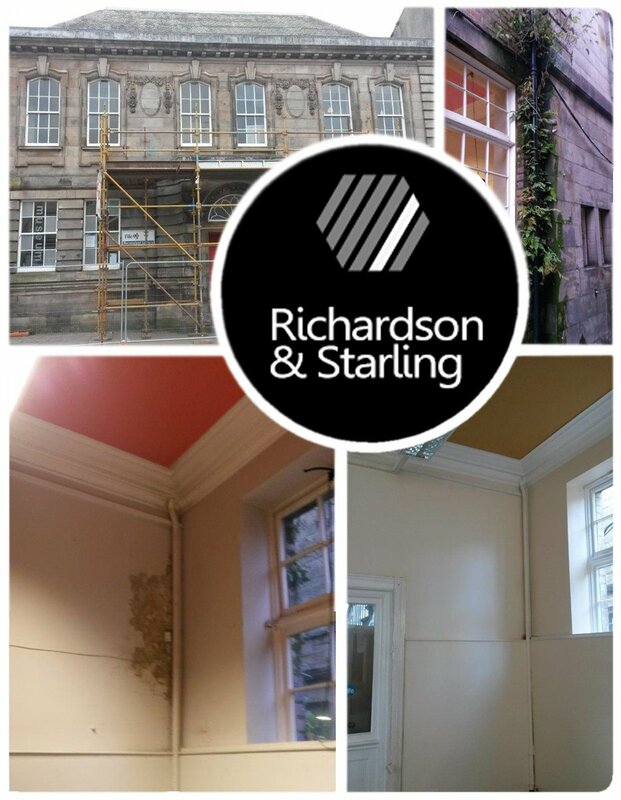 Richardson & Starling repairs to another historic building which was affected by rot and damp. Years of penetrating damp had caused a massive wet rot attack affecting structural timber beams holding the roof. These beams also had a woodworm problem so significant refurbishment and repair was required by replacing all of the structural timbers in order to keep the building structure in sound condition. This church in Aberdeen had a penetrating damp problem which affected areas around magnificent stained glass panels. Damp affected the wall fabrics adjacent to the windows which caused delamination of the plasterwork. 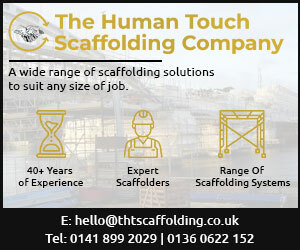 Suitable access scaffolding was raised and all affected materials safely removed. The bowed stain glass panels were secured and new timber wall frames were fitted. Foil-backed plasterboard was fixed and a skim coat of plaster applied leaving the area ready for decoration. This building had a huge basement which was unused due to long term damp and flooding problems. Our specialists converted this basement into a dry and fully usable space, to become a state of the art gymnasium and cafe. Our cavity drainage and sump system was installed protecting this basement and preventing further water damage. Even new building can have a damp problem? Initially, when buildings are constructed, a rising damp barrier is installed in the form of a damp proof course and a damp proof membrane to the solum area. However, when this becomes damaged or has not been installed properly, or has been “bridged” due to high external ground levels, then damp can become a severe problem causing issues within the property living area. Here is one of the great historic buildings that we were fortunate to work on – The Museum of Edinburgh. Expressive windows can greatly impact the character of the whole building. This historic building embellishing the city of Edinburgh since the late 16th century and now it needed some care to bring its windows back to health. Faye Harmey Richardson & Starling Surveyor at our Glasgow office has won the Property Care Association UK Student of the Year 2016 award. Faye came first in the Certified Surveyor in Remedial Treatments (CSRT) exams and gained her qualification? No matter whether you live in a tiny flat or in a castle - your home can be affected by rot. Dry and Wet rot can sometimes be referred to as brown rot and has the ability to destroy any type of unprotected wood inside or outside of your home. There are many types of wood destroying fungi which is germinated by excess moisture. Good news is that it all can be fixed! Staff at Scottish building preservation company Richardson and Starling are celebrating after winning a prestigious UK construction award in Cambridge last week. The firm walked off with the gong for Contractor of the Year in the Damp and Timber category at the Property Care Association (PCA) awards dinner, held at the city’s Rectory Farm. Richardson and Starling, which is part of Scottish construction industry sub-contractor Veitchi Group, came top after all 410 member companies in the PCA had been audited. Companies were assessed on a range of factors including property surveys, site competence, quality of work, health and safety management, complaint handling and office administration. “Collecting this award is testament to the hard work, effort and dedication of all the staff at Richardson and Starling,” said managing director, Graham Duncan. Also collecting an award for CSRT (Certified Surveyor in Remedial Treatments) Student of the Year was Faye Harmey of Richardson and Starling’s Glasgow office. The award covers all students in the UK who sat the CSRT exams. The business started in 1935, employs 156 people across 12 offices and makes up approximately half of the total staff numbers in the Veitchi Group. Last month Veitchi, which will turn 100 years old next March, relocated its headquarters back to the banks of the Clyde after more than 50 years on Bouverie Street in Rutherglen. The move followed a strong set of financial results which saw profits before tax grow by 26 per cent with turnover reaching £37 million in the year to 30th November 2015. Here is one small but interesting case study – Clan Armstrong museum in Langholm in the Scottish Borders. Clans motto – Invictus maneo means I Remain unvanquished but it seems like the timber used for the building did not have the same strength as the clan members did. After replacing rot affected timber using our unique timber resin repair system which only removes the rotten section of timber and retains all historic sound existing timbers the exterior was painted. This small museum regained its aesthetic looks and continues to welcome people as well as tell the respectful history of the Clan Armstrong. December 2015 floods in Carlisle and the Borders caused many problems to home owners. In these Before & After pictures, you can see how our Carlisle branch dried out the property and completed a full refurbishment contract to the ground floor rooms after they were subjected to approximately 1.5 meters of flood water. From floor replacements and applying damp proofing systems through to decoration, this property was completed and ready for the client to move back home. Now this home owner can have peace of mind as our treatment works give a 30 year guarantee. If you notice small holes in your roofing or flooring timbers in your home, you may have a woodworm problem. These beetles leave small flight holes in the timber and sometimes it inflicts so much damage that the floor collapses! In this case, we did a comprehensive survey to make sure we found the extent of the problem and also to determine if the infestation was active. After that, it’s a case of treating the timbers to eradicate the woodworm and repairing structural damage to the timber. Take a look at this exclusive basement waterproofing project. Originally this building was a water tower and the new owner saw the potential to develop the utility structure into a unique home. Half the property was below ground level and susceptible to flooding. R&S installed our Cavity Drainage Membrane system to manage water penetration and remove it to the drains via a sump and pump setup which was essential to protect the new and comfortable living space. On completion, we issued our 10-year guarantee on the basement waterproofing system. Here is one of our Dry Rot eradication contracts. First of all, the cause and extent of the dry rot attack was established. Then the affected timbers, floor, wall and ceiling fabric were removed and the affected area was treated with fungicidal treatments. Afterwards we reinstated with new timber, wall/ceiling fabrics and re-plastered the area. On this occasion we even did the redecoration. This was extensive work, but we didn't hesitate to offer our 30 year guarantee to give our client peace of mind. The Apex Hotel is a grand old building in Edinburgh. When its owners decided to renovate they also wanted to keep the original character of the building. As windows are a major part of the character the existing timber windows were refurbished instead of inserting modern equivalents. The windows were totally refurbished with repairs using our timber resin system, draught proofing fitted to stop rattles and draughts and new ironmongery fitted to enhance the operation of the window. 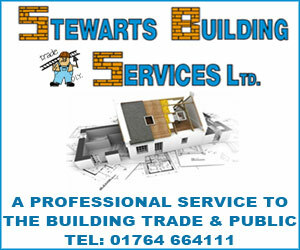 We’re very proud of the quality of our work, and offer a 5 year guarantee on all timber repairs. See our example of timber window repair below. Insulation, draft proofing and double glazing are all good things to have, but they reduce the ventilation in your property. This allows moisture laden air to condense on cold surfaces such as walls or windows. Condensation can damage building fabric and create unhealthy living conditions with the growth of various moulds, so it is important to identify this problem and start the treatment as quickly as possible. In this case we used positive input ventilation to control the humidity. The Positive Input Ventilation System draws in fresh, filtered air from outside so that the moisture in the air is kept at an ideal level and delivers a quality environment to live in. Here is one of our Basement Waterproofing contracts. Our Cavity Drainage Membrane system was installed – this manages water penetration and removes it to the drains via a sump and pump setup. The walls and floors were finished ensuring not to puncture the membrane and now this property has a dry basement which can be confidently used and enjoyed. Here is another basement waterproofing case. In order to manage water penetration and remove it to the drains via sump and pump setup, our cavity drainage system was installed.